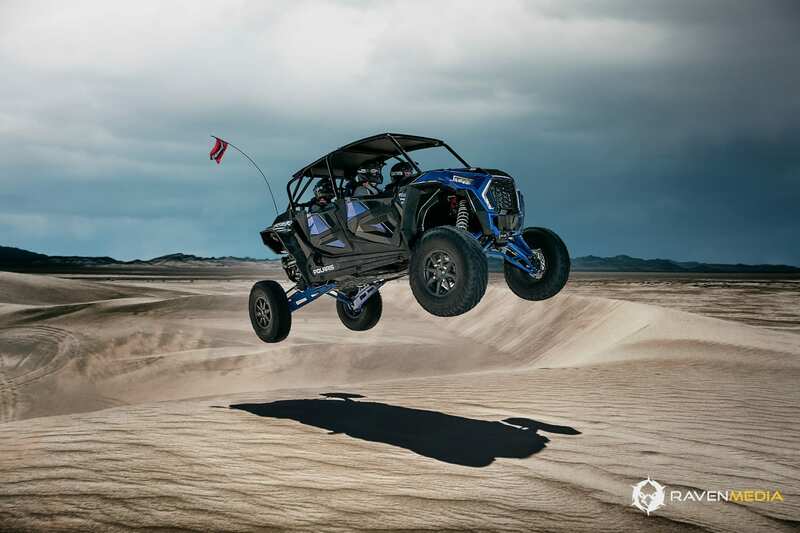 Polaris® unveils a significant upgrade to its nastiest and most aggressive RZR®XP Turbo S with the introduction of the four-seat model. 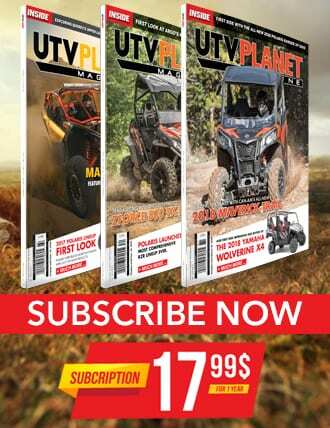 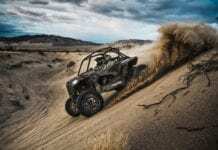 While the initial RZR XP Turbo S set new standards in nearly every measurable category, the all-new machine takes it one step further, becoming the first-ever four-seat off-road monster to boast a 72-inch stance, 32-inch standard tires, exclusive DYNAMIX™ Active Suspension and 16-inch ground clearance to devour virtually everything in its path. 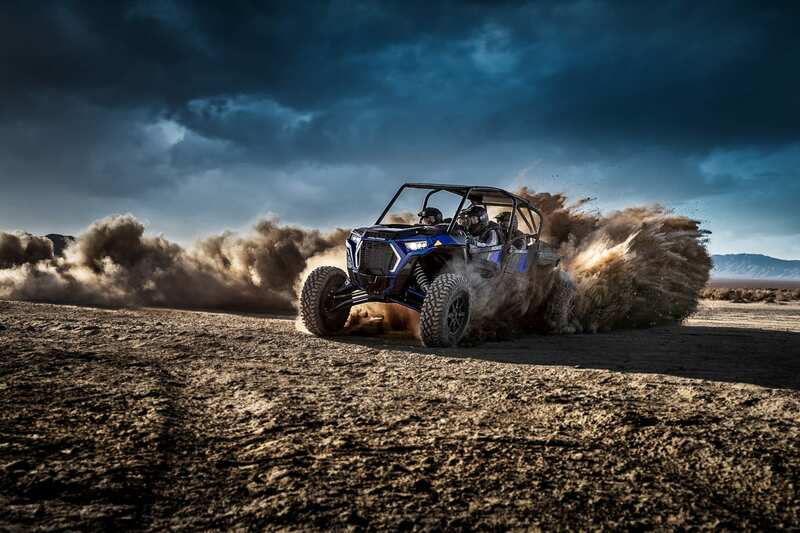 Polaris pushed the limits of engineering when designing the RZRXP 4 Turbo S. From a reinforced chassis to bigger, stronger axles, Polaris incorporated significant performance upgrades and strengthened nearly every component of the machine. 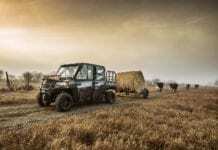 The all-new isolated front drive features three times higher impact strength, while the ROPS, control and trailing arms, and radius rods help handle the extreme force produced by this beast of a machine. 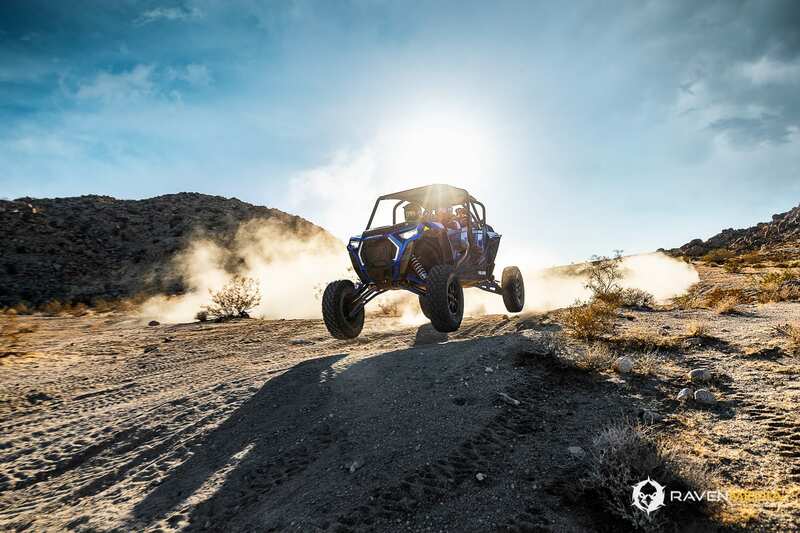 TheRZR XP 4 Turbo S was designed with extreme performance capabilities in mind. 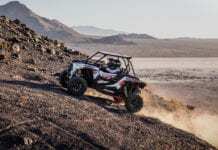 With 25 percent more assist in power steering and better steering feel at high speeds, the RZRXP 4 Turbo S keeps the driver focused on effortlessly maneuvering through the terrain, not on forcing the wheel. 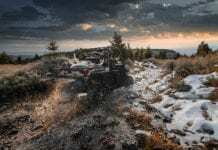 Recalibrated aggressive throttle mapping gives the driver better and more immediate throttle control and the redesigned clutch box allows for better air flow and decreased belt temperatures. 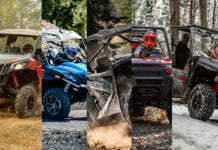 Off-road addicts will welcome the challenge to drive harder, faster and farther than ever before, now with three passengers.Available in Indy Red and Polaris Blue, this 168-horsepower beast of a machine will be available in dealerships as early as mid-September, and despite all of the incredible features, checks in at a base price of $30,499 US and $36,999 CA.